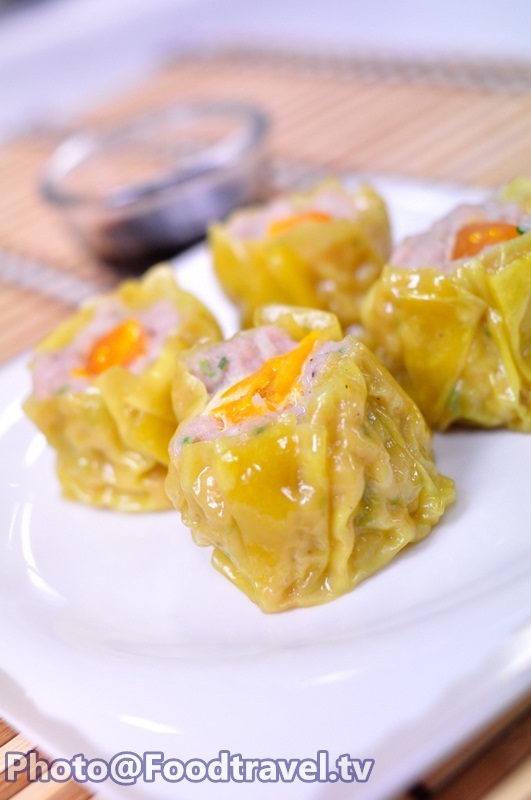 Dumpling Steamed Pork (Kanom Jeeb Muu) - Steamed Pork Dumpling is a favorite menu of many people. Serve with dim sun sauce (Jig Chou) and fried garlic for more delicious. You can change to the meat you like such as crab, pork or shrimp. 1. Add pepper, garlic, coriander root, soy sauce, sesame oil. And stir well. 2. Add minced pork. Then mix all ingredients together until smooth.3. Tap slightly water in the middle of the wonton sheet. Spoon filling into it and wrap. Tap the water and fold the edge. Put salted eggs yolk in the middle and press firmly. Trim out excess flour on the top. 4. Steamed in boiling water for 10 minutes. 5. Served with sour soy sauce. Ready to eat.